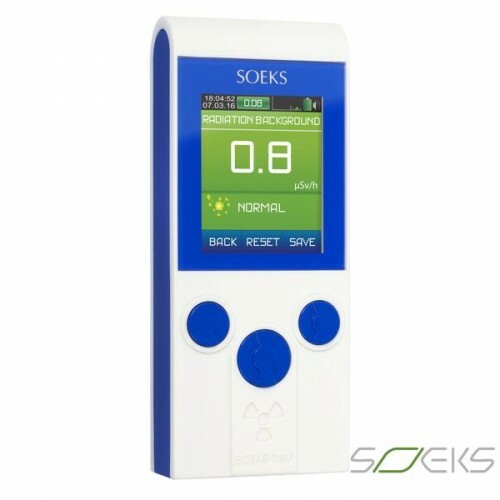 The SOEKS 02M Prime compact Professional Radiation Detector is the latest and fastest Geiger counter detects the radiation readings of the emission of gamma, beta and x radiations within a second. This detector gets famous with all the necessary features without fail to give the accurate readings. The SOEKS devices can work up to 1000 hours or 42 days continuously, so you no need to recharge frequently. This device also has the auxiliary power supply and rechargeable batteries. This is the user-friendly radiation detector with ultra-sensitive search mode to find out the more sensitive than 01M and also save time. The additional feature of this device is you can read the measures in different units like CPM, uSV/h, and uR/h. 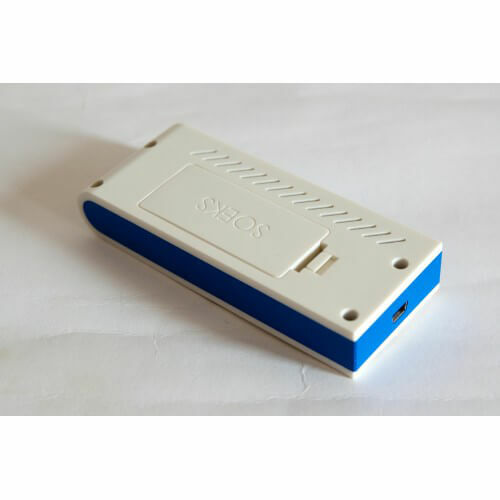 The SOEKS devices are very simple to use and the user guide is also given to the package. It is designed with the features of convenient and effective visible, audible and text alerts when it detects the radiation. • This is the most responsive Geiger counter and measures the radiation within a second. • Without any fail, this device constantly measures the background radiations and cumulative dose. • Find out the radiations in the water, food, objects, and environment. • An in-Build threshold automatically indicates the normal, high and dangerous levels of the electromagnetic radiations. You no need to have a special knowledge to read this indication. • You can read the measurements in 3 units of radiations like uSV/h, uR/h, and CPM. • This device has super battery life works up to 1000 hours or 41 days on a single charge.